We are a small family run business that understands that our customers’ needs are of the utmost importance. 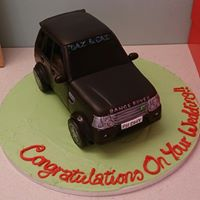 We strive to provide the best celebration cakes and cupcakes to our clients at a very reasonable price. Being fully registered and insured we ensure our cake not only look great but taste great too. Looking for a special cake, please email ask@mumsbakecakes.co.uk and I'm sure we can create something special together.